• This update from the CDC Arboviral Disease Branch includes provisional data reported to ArboNET for January 1, 2015 – May 4, 2016. National Center for Zoonotic, Vector-Borne, and Enteric Diseases (U.S.). Division of Vector-Borne Infectious Diseases. 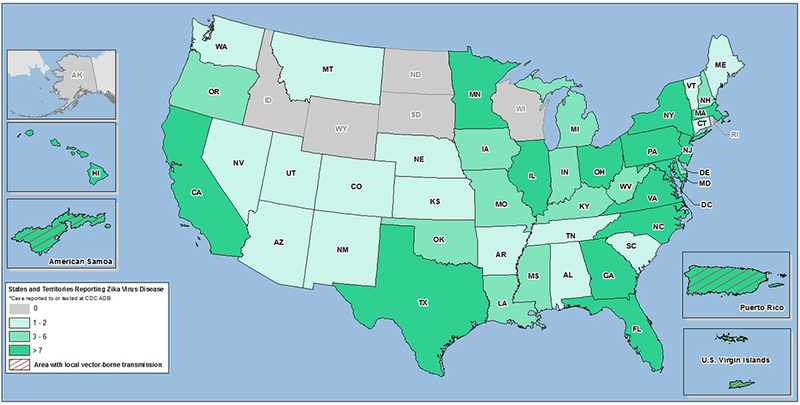 Arbovirus Diseases Branch.. United States. Advisory Committee on Immunization Practices..
Centers for Disease Control and Preventio (U.S.). Zika Response Epidemiology and Surveillance Task Force.. United States. Advisory Committee on Immunization Practices..